The lyrics for this song has been posted long time back here. Sri Gopalkrishna has given us the meaning of this widely popular song in English. I thought it would be appropriate to have this in a separate post rather than a comment. Thanks so much Gopalkrishna. Oh, Goddess of Fortune ! Laksmidevi ! Come and appear before us wearing the shining golden bracelets on your wrists and the auspicious vermilion mark on your forehead! Oh, Consort of Purandaravithala ! This document was sent to me several days back by Sri. P.N. Ramachandran. I am extremely sorry for taking so long to post this. As I have mentioned earlier also, it was very hectic the last couple of weeks. Of course, it is not an excuse. I am thankful to Sri P.N. Ramachandran for taking time to write and also send me this wonderful script of Harikathaamrita Sara. Bheeshmacharya, who was lying down on a bed of arrows, prayed to Sri Hari and extolled his glories in “Bheeshma-Stuti” (Srimad Bhagavatham). Sri Krishna heard this, sitting by the side of the Acharya. Again, Bheeshmacharya rained arrows on Sri Krishna in the war at Kurukshetra. But Sri Krishna did not mind the defects in the Acharya’s qualities (such as fighting for the adharma side of Kauravas). Pundaleeka, in a sitting position, was serving his parents and at the same time, he was praising Sri Hari; the Great Lord stood (on the brick offered by Pundaleeka) and heard him singing. Narasimha came jumping out of the pillar and He was dancing. Narada was singing in ecstacy and dancing. Sri Hari gave darshan to Narada. Kuchela, a poor Brahmin (and fellow student of Sri Krishna under Sandipani Acharya), offered a handful of beaten rice to Sri Krishna on a later visit. Sri Krishna conferred immense wealth on Kuchela. Jaya, Gatekeeper at Vaikunta, by a curse, was born as Sishupala, the King of Chedi. He abused Sri Krishna who killed Sishupala when the abuses exceed a limit. Sri Krishna then restored the Gatekeeper his old position, since the effect of the curse was over in his third rebirth as Sishupala. By these illustrations, the Daasaru establishes that God is full of grace and that his mercy towards his devotees is limitless. I have gone invisible for almost 3 weeks now. Life has been so hectic with all the travel, work and of course the most exciting news of our lifes. We brought a new house 2 weeks back, and are moving to this dream house of ours on Friday, feb 27th 2009. The priest from Shri Shiva Vishnu Temple will be doing the Gruhapravesha function. Friday is also the day our Guru, Shri Raghavendra Swamy took the Ashrama. It is a very auspicious day, and we are humbled to be doing the Gruhapravesha on the same day which is so important to all devotees of Shri Raghavendra Swamy. Since it is a week day, we are going to have a special house warming party to all our dear friends and well wishers sometime in March. I will definitely keep you all posted on this date as well. I will be honored if all of my visitors would be able to make it for this get together. It would be just awesome. 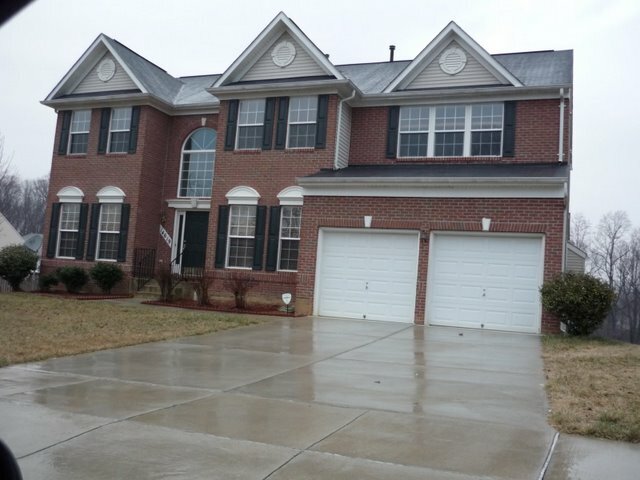 Attached below is a picture of our new home which we will be moving into on Feb 27th, i.e. this Friday. P.S: Thanks to everyone for their wonderful wishes. I will post pictures of the function and of course all the authentic dishes we are going to prepare. Thanks again. I am blessed to have such wonderful friends. Maha Shivaratri is celebrated on Friday the 12th Feb 2010. It is mandatory to visit the temple and seek the blessings of Lord Shiva during this day. In many customs they do fast on this day, but in our Madhwa tradition it is a festival and we do not fast. I remember visiting the Shiva Temple at Vijaya College in Bijapur which had 1001 Lingas along with my parents every year. Attached below are prayers to say for Lord Shiva and seek his blessings. I bow to Sambu the Lord of Uma and the teacher of the Devas. I bow to the Lord Who is the root cause of the entire world. I bow to the Lord, Who has the serpent as His ornament, Who carries a deer. I bow to the Lord of all beings. I bow to the Lord Who has the Sun, the Moon and the Fire as His three eyes. I bow to Him Who is fond of Mukundha. I bow to Him, Who is the refuge of all devotees and Who grants boons to them. I bow to Siva, the creator of all auspicious things. This blog also has the lyrics for Lingashtakam or Shiva Stuti as it is called. So many of you asked for Sri Madhwa Nama in Kannada. The lyrics are available in dvaita.org, I guess most of you don’t have the kannada fonts installed. As I mentioned earlier also, when I am not at home and staying in a hotel which I am doing for the past 2 months, I open the dvaita.org website and read from there. I created a pdf file from the dvaita.org web site to help all of you read the same. Attached below is the pdf in Kannada which will help you all print or save it on your computer.